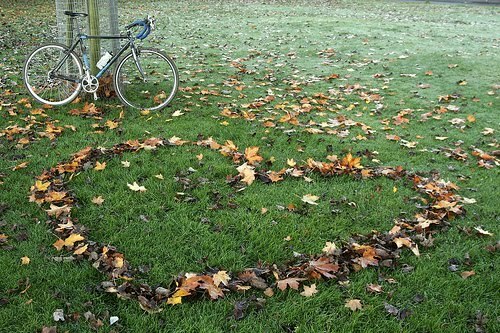 Oh and results from the 5th round of the 2011 Tri Centre Scottish Cyclocross series can be found on the links below. 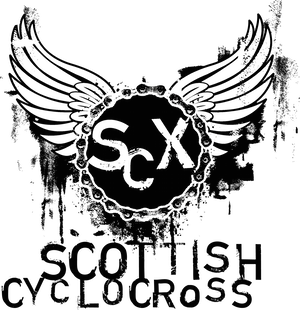 If you have any queries or corrections then please email them to scottishcyclocross@gmail.com. Also - if you have any queries about the Scottish Champs eligibility then check out this earlier post for the facts... and remember that entries need to be in soon-as. My first time at a cyclocross event - although I have ran the harriers v cyclists at Irvine a few times (as a harrier). In 30 years of racing I can honestly say that was the best day out I've ever had. I didn't do very well and I was badly let down by my equipment - cheap full suspension mountain bike is not recommened for that much mud - but I was buzzing all night. Tough course, nowhere to rest. Constant effort whole way round but loved it ! very well organised by EK. Many thanks. Great day, despite only 4 laps. I felt lucky punk, I only left with a flat tyre...unlike many others who left with a broken mech...Plean all over again! I got a flat too, but really enjoyed the course for the 2 laps I covered. Almost lost my shoe in the bog too! Was a great event, sun shone, well organised as always. I think it is just a feature of our wet summer that the ground has never dried out, it is much muddier this year I reckon. I don't mind a bit of dirt but I think after the horror that was plean, the track's need modified a bit to take account of the state of the ground... by the time the seniors race starts the track is wrecked. Most of Strathy was fine - the field was the killer. My bike gave up after lap three, and pretty much wouldnt work properly after one trip over the marsh and annoyingly as I felt great! The organisation was great as ever and if the track held up, it would have been a belter. 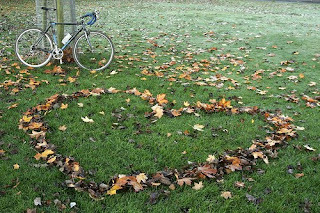 I think as cyclocross is a grass roots discipline of the sport bringing in new riders it's important that the courses are designed assuming that most riders only have 1 bike. If the courses go through too many sections that are likely to destroy bikes then there's a danger it will become too elitist where only riders with 2 bikes can race and the rest are left with broken bikes. Strathclyde was a great course and a great event but in light of the carnage the field caused it might have been better to keep to the bottom of the field and try to avoid the wet ground. I agree with the sentiment above. I've been loving the series and the organisers have been putting in a fantastic effort but the Strathy park bog fest (and mech eating stone chips) were too much of a bike killer to be fun. It's a shame as the other woody bits were great! I know there are minimum track width restrictions for CX but having lots of grass just does not seem to work when it's this wet, and give a big advantage to those with two cross bikes. I personally thought the course was good and much preferred the gravel climb to the grass one last year. However, I was in the senior race and unfortunately the course was pretty trashed by the time we got to it and the bottom half was a bit too much of a slog to be enjoyable. I also was one of the 23 odd DNF's in this race with a sheared off rear mech which is probably getting on for too many in a race if they were mostly down to mechanicals. An idea that would be a bit more work for the marshals would be to widen out the taped areas on the field sections as the races progress throughout the day. Keep it down to the required 3m or so for the juniors, widen out a bit for the vets and more for the seniors as required. This would give all races a fresh shot at the sloggy bits. This would have also worked for some of Plean but won't work if landowners have asked you to keep to the edge of fields etc. Just an idea but i guess on the day each race has the same conditions for all. Hopefully this is constructive feedback on what was a very well organised, sign-on, marked-out, marshalled event. We've had muddy races before, we've had grassy race before, we've even had muddy AND grassy races before. So what's different this year? More people? More novices? More CX bikes? More people running when they should be running? More 10/11 speed? Looking at the results from this year and last year there's around 100 more riders than last year which is almost double. The vets race went from 50 to 100+. If there's double the riders, the course is always going to get cut up a lot than normal. Cross is getting more and more popular which is great news, it just means the courses might have to change a little to take into account all these extra riders.